Oklahoma City flipped the script during the regular season, but the Portland Trail Blazers are looking to regain their winning formula as the teams meet in Game 1 of their series in the 2019 NBA Playoffs. The Thunder (49-33) went 4-0 against the Blazers (53-29) during the regular season after getting swept in four games in 2017-18. Although each recorded a season sweep, none of the eight games was decided by more than 11 points. Sunday's tip-off from Moda Center in Portland, Ore. is scheduled for 3:30 p.m. ET. The Trail Blazers are 3.5-point favorites in the latest Thunder vs. Blazers odds, while the over-under for total points scored is 225. You'll want to see what the SportsLine Projection Model is saying about the game before laying any Blazers vs. Thunder picks of your own. This model, which simulates every game 10,000 times, is crushing its NBA picks. 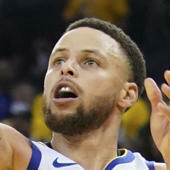 It entered Week 26 of the 2018-19 NBA season with a sterling 292-234 record on all top-rated plays, returning over $4,000 in profit to anybody following them. And it has been particularly red-hot on its A-rated NBA picks against the spread, entering Week 26 on a strong 76-59 run. Anybody who has followed it is way up. Now the model has dialed in on Thunder vs. Trail Blazers. We can tell you it's leaning over, but it also says one side of the spread cashes in well over 50 percent of simulations. That one is available exclusively at SportsLine. The model knows that Portland, which finished second in the Northwest Division, one game behind Denver, finished with the third-best record in the West and was red-hot during the final stretch, going 11-2 in its last 13 games. The Blazers finished with a 32-9 record at home and were 29-23 in conference play. Portland has always played well on its home court during the NBA playoffs, winning 80 of 122 home games in 35 years of appearances. Point guard Damian Lillard is a big reason for Portland's success this season. He came up big when needed, including a 30-point performance against the Nuggets last weekend. In four games against Oklahoma City this season, Lillard averaged 34.8 points, including 51 at Portland in March. Guard C.J. McCollum also had productive games against the Thunder, scoring 25 points at Portland and 31 at Oklahoma City. But just because Portland is coming in hot doesn't mean it'll cover the Blazers vs. Thunder spread on Sunday in the NBA Playoffs 2019. That's because Oklahoma City has been rolling, winning five in a row and seven of its last 10, including a season-ending win at Milwaukee, which had the league's best home record. Leading the way for the Thunder is forward Paul George, who has owned the Trail Blazers. In four games against Portland, he averaged 38 points, including a 47-point performance on Feb. 11. Point guard Russell Westbrook has also dominated the Blazers, averaging 29.5 points in four games. He also finished the regular season on a roll, scoring 29 against Houston and 27 at Minnesota. So who wins Thunder vs. Blazers? And which side of the spread hits well over 50 percent of the time? Visit SportsLine now to see which side of the Thunder vs. Blazers spread to jump on Sunday, all from the advanced model that is up more than $4,000 on its NBA picks this season, and find out.